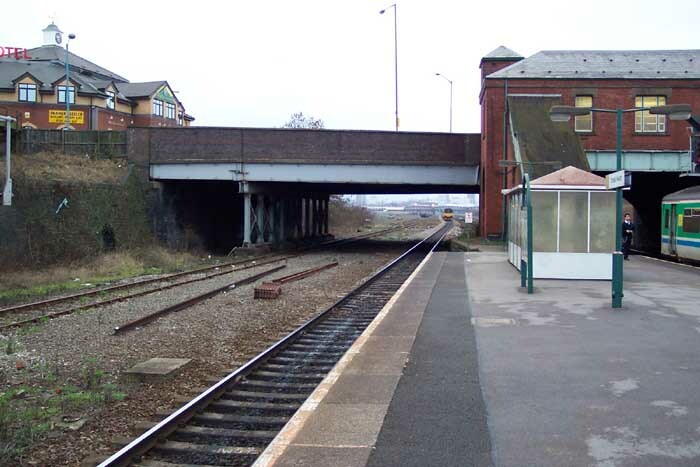 Small Heath station was opened by the GWR in 1863 as 'Small Heath and Sparkbrook' and from early days took on a role of a goods station that also dealt with passenger traffic: such was the extent of goods facilities at the site. Today, certainly on the side of the Golden Hillock Road bridge occupied by the platforms themselves, you'd be hard pressed to see obvious signs of its industrial past. 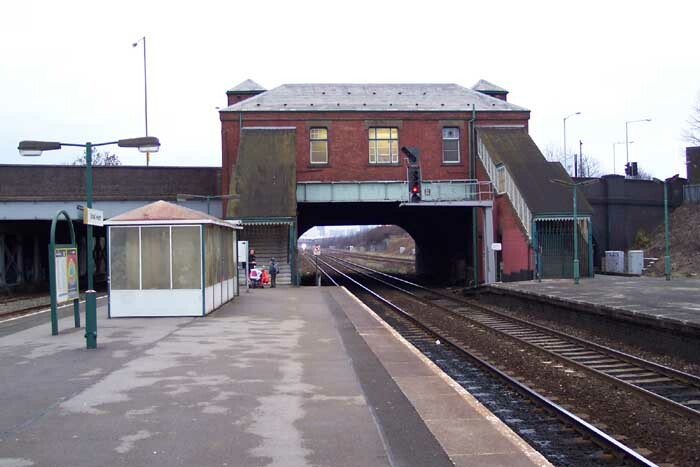 Above we see the entrance building on Golden Hillock Road which now leads down to one island platform serving local services to and from the City Centre. It is easy to see that some alterations to the building frontage have taken place over the years - look at the large white doorway-shaped areas on the front topped off with concrete lintels: presumably these were doorways and/or windows at some time. The left-hand set correspond with the now locked stairwell down to the original platform for local trains travelling to the Oxford & Birmingham Branch or North Warwickshire Branch and more illustrious locos such as 'Kings' heading the Paddington to Birkenhead express. 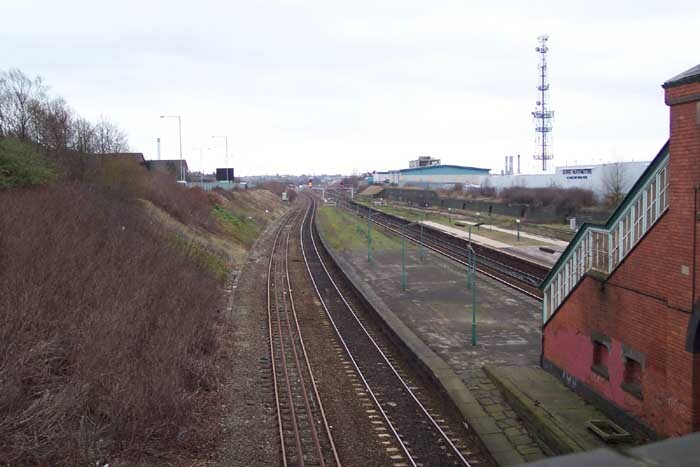 Above-left we are standing on Golden Hillock Road bridge with the station to our right and looking down at the station site. In front of us, adjoining the now disused-platform, is the 'up main' line which served the Leamington and London services. 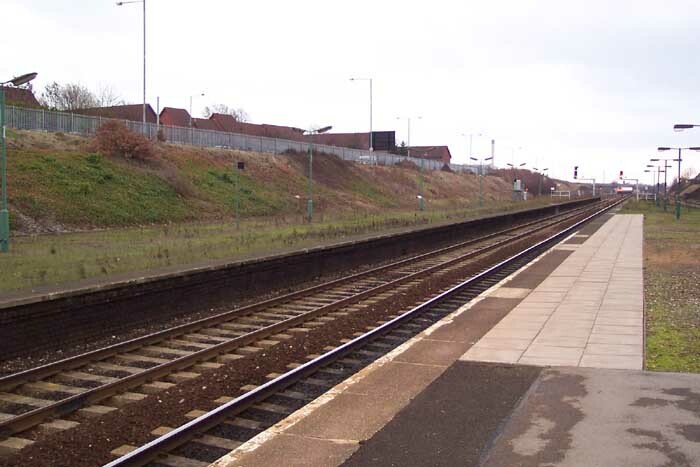 To the left of the 'up main' is what once formed the exit from the 'up yard' which joined the main line at Small Heath South Box just beyond the platform's end - the box no longer exists. The lines to the extreme right of the shot were used for goods wagon storage/arranging for use in the goods yard proper, the other side of Golden Hillock Road bridge. Above-right we are looking at the site of the goods yard(s) from Golden Hillock Road with the station building behind us. 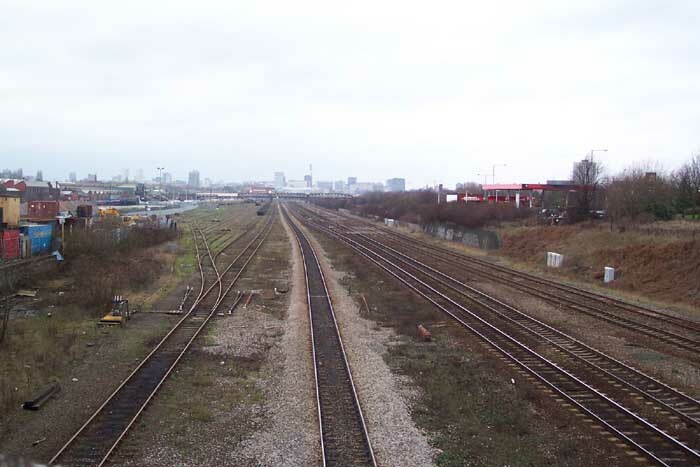 All-in-all, the site could accommodate c2,450 wagons organised into a series of 'yards' for specific purposes: Caledonian Yard for LNWR/LMS traffic holding 480 wagons, a transhipment yard holding 360 wagons and the North End Mileage Yard holding 70 wagons for the on-site Metals-shed, among others. Above-left we are on the sole operational platform looking along the central tracks under the station building above towards Moor Street/New Street. 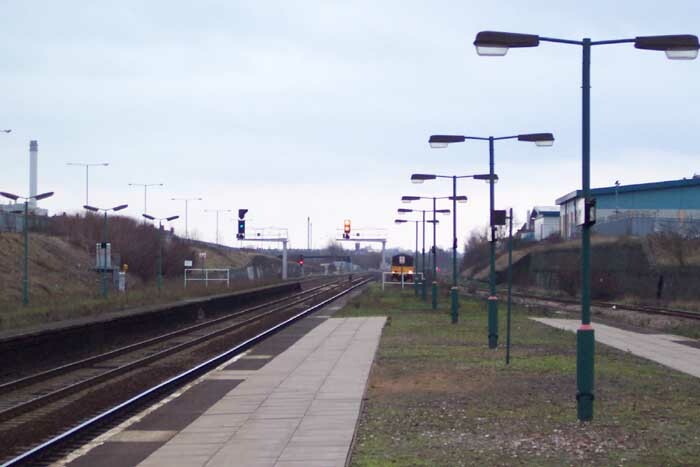 The absence of platform buildings adds to the general air of despair at the station with the only concession to passenger comfort being a bus shelter - finely canopied GWR platform buildings are a thing of the distant past. Above-right we have moved to the left from the previous shot and are looking through Golden Hillock Road bridge towards the goods yard which can clearly be seen as an unidentified DMU heads towards Moor Street on its way from Warwick. 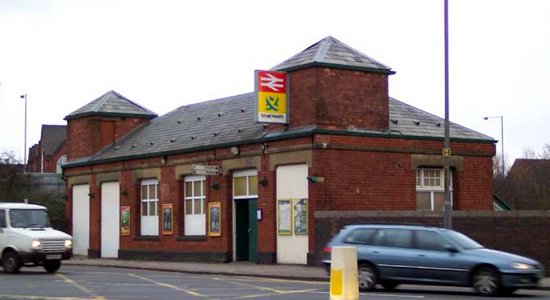 Interestingly, Small Heath was even a technologically advanced station - although you'd never tell to look at it now. In 1957 a Universal Chain Conveyor was installed which kept three chains permanently circulating around channels around the main shed at a speed of 40 feet per minute hauling wagons around on their cycle from loaded to empty without unnecessary handling/shunting. In the above-left perspective we are in the same spot as the previous two shots but this time looking away from Birmingham and not a lot has changed over the years other than the absence of a row of tunnel-back housing which lined the top of the embankment to the right of the shot. Above-right we are looking to the left of the previous shot at the now disused island platform - I must commend Centro on their 'nature' look to the platform tops - always nice to see some signs of greenery in the inner city!